Update the look of your garage with our new Bold 3.0 Multi-use Locker (30"). We have updated the locker with some new key features, it boasts; a fully welded 24 gauge steel frame cabinet with full length anodized aluminum handles. All season storage with 3 fully adjustable shelves and removable closet rod. Fully lockable to keep items secure and comes coated with Sandtex paint finish; these cabinets will maintain their beautiful luster for a lifetime. The Bold 3.0 Series Extra-Wide Locker was designed with maximum storage in mind and has 3 easy-to-adjust shelves that provide customizable storage for items of all sizes.With a complete Sandtex powder-coated paint finish inside and out, this Locker is scratch-resistant and ready to stand up to the toughest garage conditions. The Extra-Wide Locker requires full-assembly and is lockable to keep your gear secure. 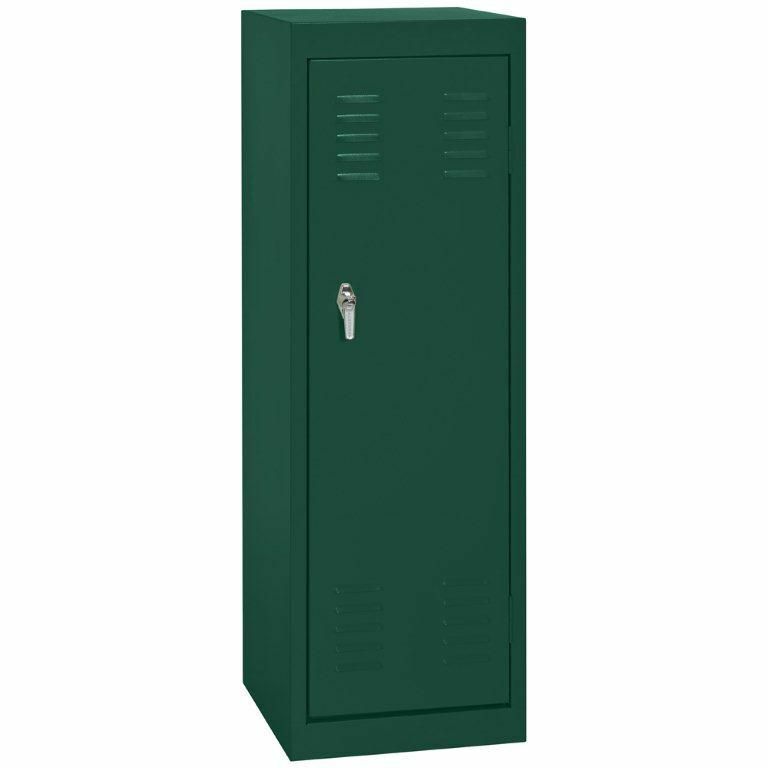 15 Inch L x 15 Inch D x 48 Inch H Single Tier Welded Steel Locker in Forest Green These designer steel lockers are built to last and feature cool colours that kids and teens will love. Great for storing school supplies, books, back packs, clothes, shoes and much more. All lockers are Greenguard Certified.